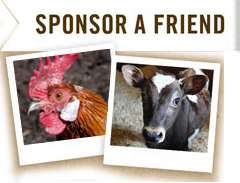 Please be aware that Maple Farm Sanctuary does not allow drop-off of animals to the sanctuary. We do the best we can with the limited resources we have to give our animal residents the quality of life they deserve. Regrettably, it is impossible to provide refuge for each of the countless animals who need it without compromising the well-being of the ones in our care. New additions are carefully considered by the Board of Directors and accepted as resources allow. We appreciate your understanding and cooperation. Please use this phone number for emergencies regarding animals only. All other inquiries, including those on setting up tours, should be sent to one of the email addresses below. Important Note: For the safety of the public and our animal residents, we do not allow walk-in visitors. All visitors to the sanctuary must register for a public, group or private tour in advance. Thank you for your understanding.